Salut les Amis de Rochambeau! Hi there all you friends of Rochambeau! 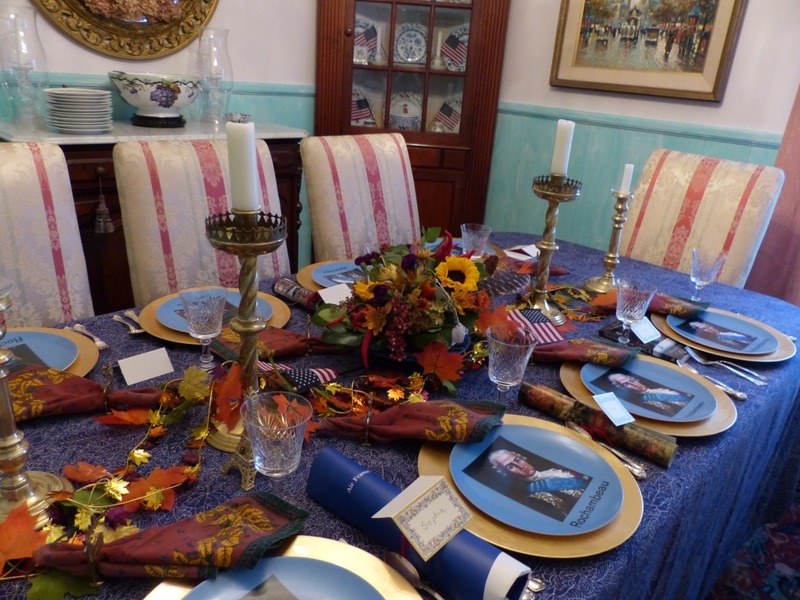 Voici our Thanksgiving table at the Vail house 2015. Rochambeau was with us at each of the 12 seats!